On Monday, June 23rd, 37 Grade 9 Macdonald Drive students recieved their bronze pins and certificates for the Duke of Edinburgh Award. 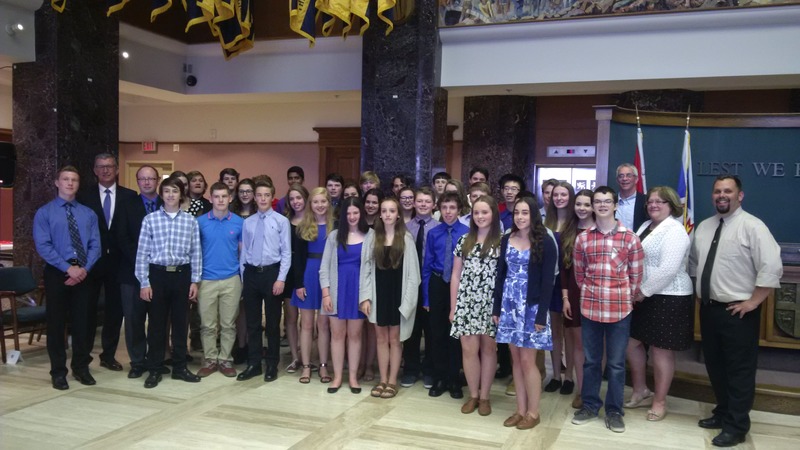 The ceremony was held at Confederation Building and Premier Paul Davis was on hand to present the awards. Congratulations to all!